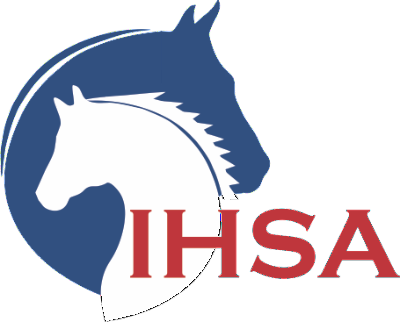 The IHSA has grown and evolved over the last 50 years. The original logo, portraying a horse jumping a split-rail fence, was created when the organization was in its infancy. A separate Western logo, depicting a reining slide was created after the Western divisions were added. Though encased in a similar circular format with the same color scheme as the original, the artwork was of a different style than the original. The IHSA leadership was challenged to combine the images in a compact form.